If you are looking for Houston Mobility Rentals,we have short-term rental options. Rent a mobility scooter that is easy to move from location to location. Our scooter rentals are ‘transportable’. Transportable scooters come apart to fit into the trunk of most cars. This feature allows you ease of travel to take the scooter from hotel to museum, to zoo, or wherever your visit takes you. Our scooters are popular with locals for short term rehabilitation or weekends away. Stay active and enjoy all that Houston has to offer. 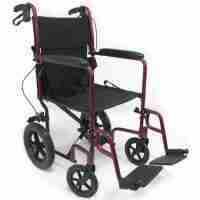 Transport Chair is lightweight and strong, makes it easy to transport. Lightweight, maintenance free and provides a smooth ride over most surfaces. 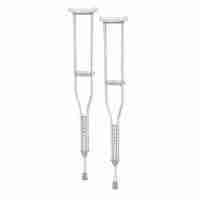 Swing away footrests and padded armrests available to provide additional comfort and rear wheel locks to ensure safety. Easily folds for storage and transportation. 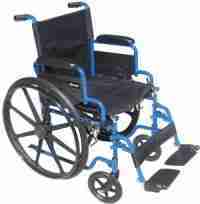 Wheelchairs are self-propelled, meaning they require human power in order to move. Outer rims on the large rear wheels make for easy gripping. 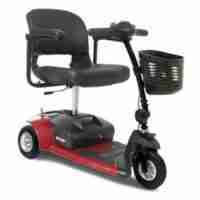 Adjustable foot rests provide a comfortable riding level for most riders. Foot rests swing away to allow the rider to plant their feet firmly on the ground. Light weight, flexible yet sturdy at the same time. 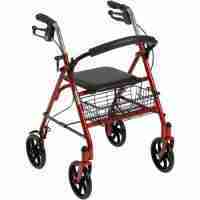 Manual wheelchairs are lighter than powered options, thus lighter and easy to transport or store. To collapse the chair, simply pull up on the flexible seat and press the arm rests together.